While everyone is busy comparing their vehicle’s engines or the latest technology, few realize how important the windshield is. Automobile glass is very different from the glass you find installed in other places. For instance, the glass that goes into making home windows can shatter into large shards very easily when it breaks. This is because these parts do not receive the same kind of stress that the windshield does. A vehicle encounters many different challenges such as potholes, rocks, and fender benders. 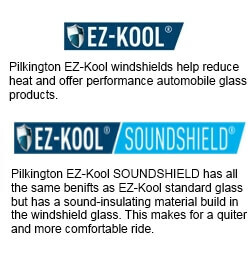 Auto glass from Texas Windshield Service is designed with this in mind and offers premium materials for installations. What Makes Auto Glass So Different? Auto glass is very different from glass that is used for other purposes and comes in two formats – laminated auto glass which is used for making windshields and tempered auto glass which is used for making the vehicle’s side as well as back windows. While both these glasses are different, their end goal is to keep you and your companions sitting inside the vehicle safe from injury. Laminated Glass – is made by sandwiching a layer of PVB (Poly Vinyl Butyral) between two pieces of glass. Both the PVB and the glass are sealed together by using pressure rollers and are then heated; this process bonds both all the three plates together chemically and mechanically creating a very robust piece of hardware. The PVB is what helps the glass absorb all the energy upon impact and is pivotal for ensuring safety. Tempered Glass – used on the back and side windows of a vehicle are made by heating and the cooling through a series of blowers. By doing so the glass develops 5 to 10 times greater compressive and tensile strength that it originally had. As you can see, the glass on your vehicle is very different from what you will find elsewhere. Therefore the next time they get damaged take it seriously to prevent harm to yourself or others. For more in on auto glass in McKinney, contact Texas Windshield Service.